Brooklyn, an obviously well-known borough of New York, continues to grow in popularity with breathtaking views of Manhattan, safe places to raise a family, charming hipster neighborhoods and outdoor markets. Having friends in BK and so much to do, I made a few trips out there on the weekend, highlights below. 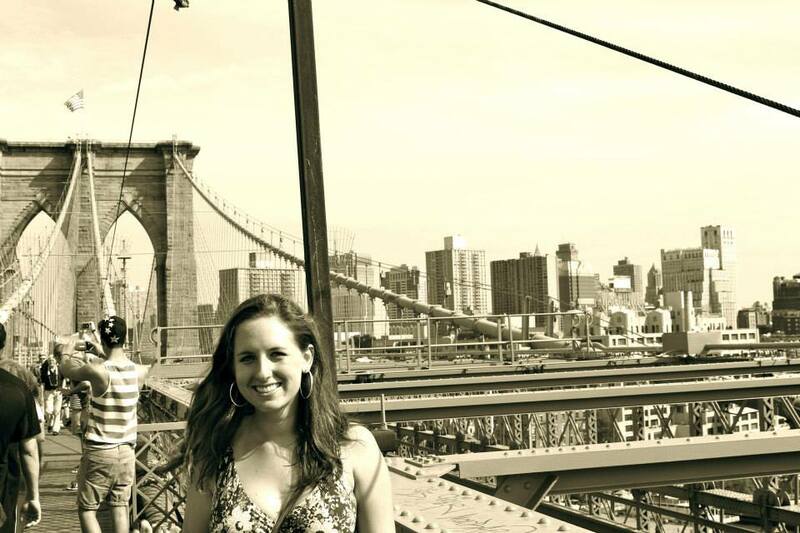 A “bucket-list” item and touristy activity, I had to walk the Brooklyn Bridge while living in NYC. A very nice almost-6,000ft walk, the BK Bridge was built in 1883, the longest suspension bridge at the time and the first physical link between then-independent cities New York and Brooklyn. This marked the end of the original ferry to Old Fulton Street which had been running for more than 200 years. Today it is a National Historic Landmark and each day more than 120,000 vehicles, 4,000 pedestrians and 3,100 cyclists cross the bridge (NYC DOT – nyc.gov). I recommend walking toward Brooklyn in the afternoon for daytime views and toward Manhattan at night for the skyline of lights. Also be sure to hangout in the beautiful Brooklyn Bridge Park. One of those “Best” in New York pizzas, one really must experience Grimaldi’s. With a daily line down the sidewalk expect to wait at least an hour, but it will be worth it. Tips are to go with only one other person (you’ll get seated before larger parties) or ask to sit at the bar if you want to wait less. Quality, homemade ice cream made in small batches at only two locations. If you walk the Brooklyn Bridge you can stop by the original location which is in an old fireboat house on the Fulton Ferry Pier right next to the Brooklyn Bridge Park. Though I haven’t made it yet, the Brooklyn Brewery is on my to-do list! They offer tours Monday-Thursday, happy hour Friday, and weekend tours. The BB was founded in 1988 and is currently distributed in 25 states and 20 countries. A foodie’s heaven. 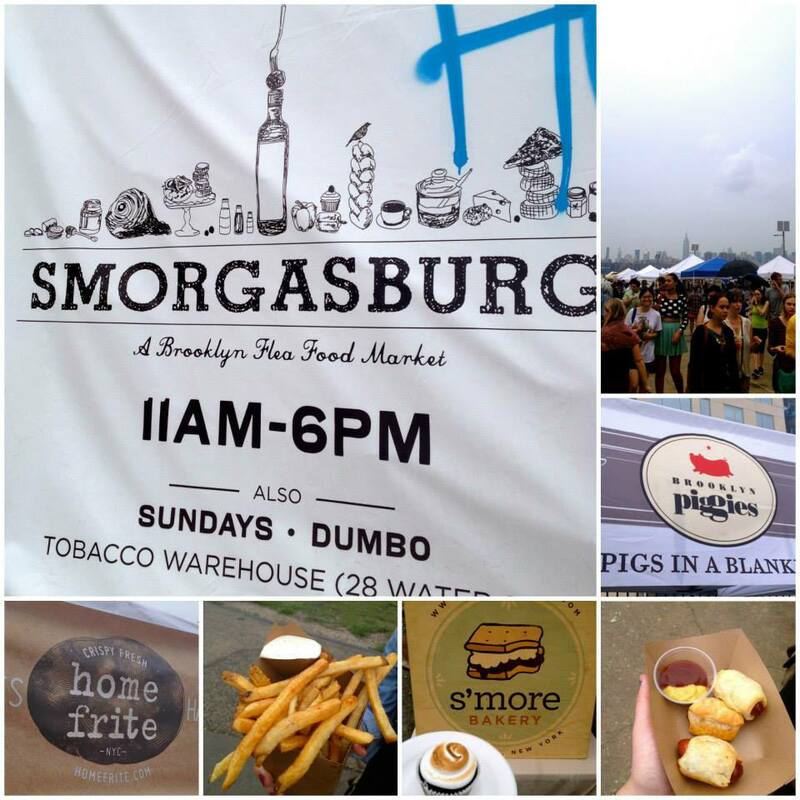 Every Saturday at East River State Park in Willamsburg and Sunday at the Tobacco Warehouse in Brooklyn Bridge Park’s waterfront in Dumbo there are 75-100 vendors with more packaged and prepared food choices than you’ll be able to process. Go hungry, and don’t let the weather keep you away – they’re open no matter what and I went in the rain, still worth it! If you’re looking for a nice, decent beach and only leaving Manhattan for a few hours, head to Brighton Beach conveniently on the Q line. I wouldn’t recommend Coney Island if you’re going to lay out, but to see the historic amusement park rides/carnival-type fun, definitely! Worth the trip to ride the famous Cyclone wooden roller coaster, the Wonder Wheel and to eat a hot dog at Nathan’s Famous. It’s old-fashioned fun that will have you feeling like a kid for the day.